Showbiz Academy Grad Featured on Perez Hilton! 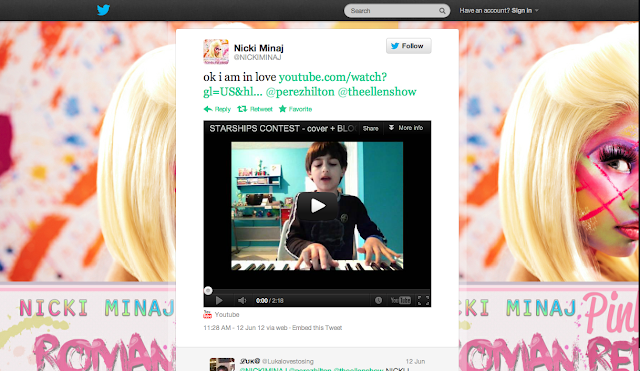 Recently, APAG's own Luka (@lukalovestosing) was featured on Perez Hilton's website after being tweeted by Nicki Minaj herself! Minaj wrote "ok i am in love" with a link to Luka's cover of her hit song "Starships".